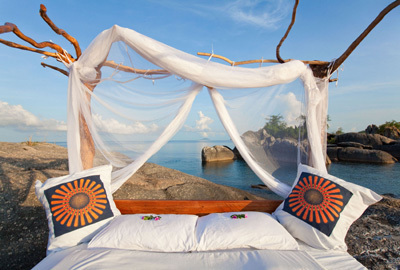 Nkwichi lodge, tucked away on a beautiful sugar white beach on Lake Malawi, has just opened its 'Lake of Stars Bed' sleep out, offering guests the opportunity to experience the lake as never before. This ultimate African sleep out is set on a private rock island, 10 minutes by boat from the main lodge and accommodates just two guests at a time - a superb addition to a honeymoon and a truly unique beach night for any traveller. 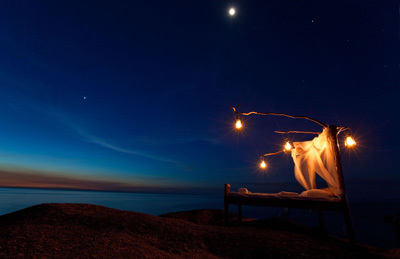 The star bed evening starts with sundowners on the rocks, followed by dinner served under the stars before guests settle down for the night under the glorious African skies. Early morning coffee and tea precede a bush breakfast which will be set up under a baobab tree a short boat ride away. The rest of the morning can be spent exploring the rock islands which are lovely for swimming, snorkelling and canoeing. Nkwichi Lodge itself is a perfect spot for honeymooners, families and authentic African seekers offering romantic, castaway beach living at its finest. It's part Flintstone, part barefoot luxury style means open rooms, tree-trunk four poster beds, swinging hammocks, giant baths hewn from boulders and showers crafted into overhanging trees. 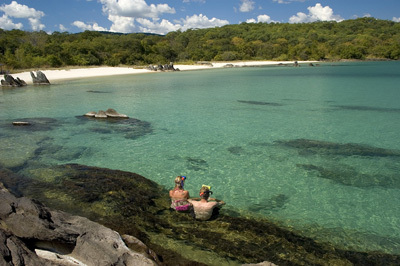 The surrounding rocky coves, pristine forests and empty beaches are perfect to explore. Activities include snorkelling, canoeing, sailing, birding, game walks, fishing in local canoes and guided tours of local villages. Seven nights at the lodge, including one night at the Lake of Stars Bed sleepout is from £1,399 including flights from Lilongwe. Excluded are international flights. Star bed nights are subject to weather conditions. Guests have radio communications with a nearby boat while they are overnight on the island and a guest management team is 10 minutes away. For more information, visit aardvarksafaris.com.